IGN has announced that they will be hosting a livestream of the Titanfall on February 13th at 12pm PT / 3pm ET. After you digest the huge meal we’ve got in store for you tomorrow, join us back on this same page on Thursday, February 13 at 12pm PT/3pm ET for our livestream of the Titanfall beta — the day before you can get your hands on it! 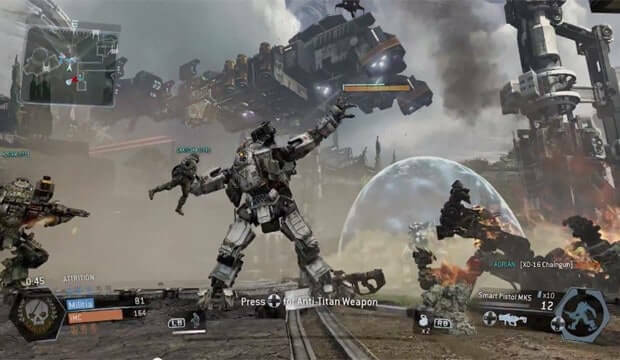 IGN’s resident Titanfall experts/superfans Greg Miller, Ryan McCaffrey, and Alfredo Diaz will be your hosts for two hours of the Titanfall beta. We’ll be leveling up as much as we can, answering your questions via the @IGN Twitter feed, and even giving away a copy of the Titanfall Collector’s Edition — which includes a hulking 18-inch-tall, light-up Titan statue. The Titanfall beta starts February 14th, and you can register now at http://titanfall.com/beta. The beta is for the Xbox One and PC only.